In addition to the 63 ft. working height, the new V60 provides 38 ft. (11.6 m) of working side reach and a 30 by 40 in. (76 by 101.6 cm) top mounted platform with a 500 lb. (226.8 kg) capacity material handling jib. 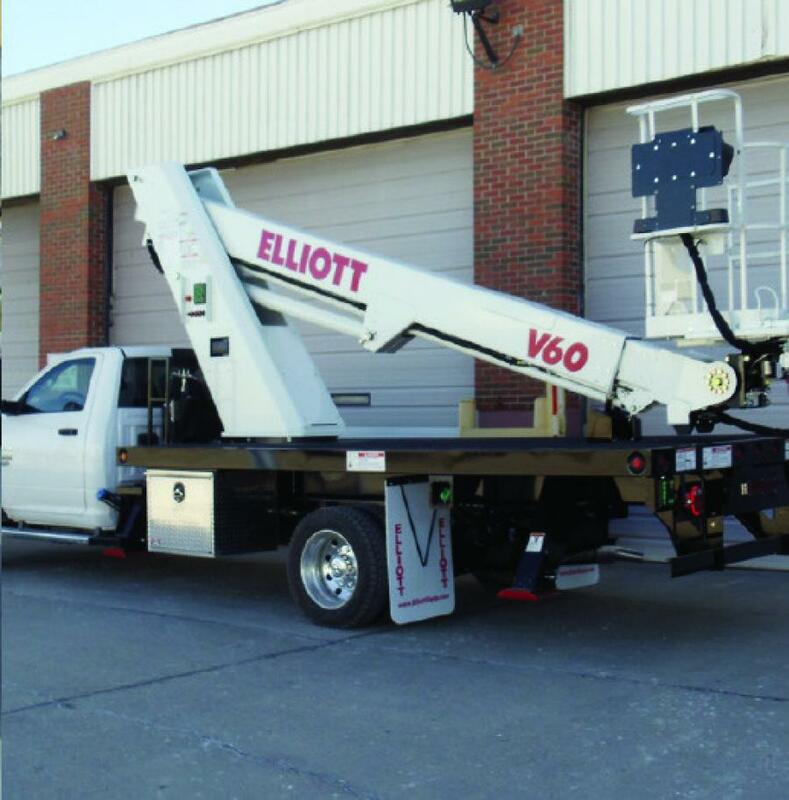 Elliott Equipment Company's V60 material handling aerial work platform features 63 ft. (19 m) of working height and 1,000 lb. 453 kg) material handling capacity. The V60 mounts on a non-CDL, 19,000 lb. (8,618 kg) GVWR chassis for increased driver flexibility. In addition to the 63 ft. working height, the new V60 provides 38 ft. (11.6 m) of working side reach and a 30 by 40 in. (76 by 101.6 cm) top mounted platform with a 500 lb. (226.8 kg) capacity material handling jib. The jib quickly converts into a boom tip winch with 1,000 lb. capacity when operated from the ground controls, giving the V60 the best material handling capacity in its class, according to the manufacturer. The V60 features Elliott's SMARTControl system that shortens set up and tear down time and improves operator control on the ground and in the platform. The SMARTControl system features one-touch outrigger leveling, one-touch boom stow and one-touch outrigger stow which greatly simplify these operations, helping operators conserve energy and work more efficiently. In addition, the SMARTControl system allows for Bluetooth and remote servicing and diagnostics of the system, maximizing uptime of the unit. 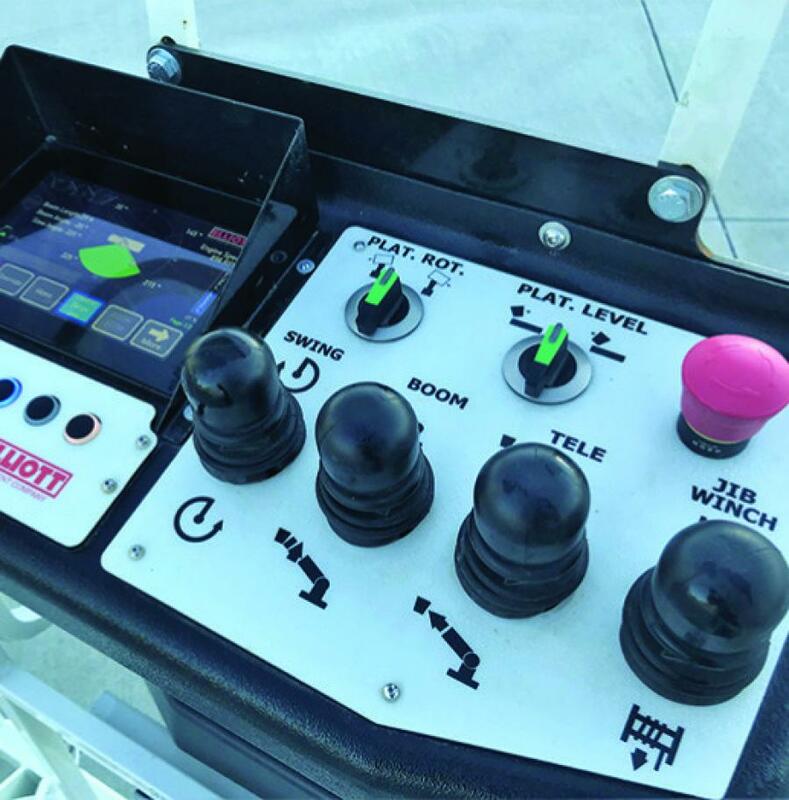 Users also will enjoy the ability to easily tailor the metering and speed of boom functions based upon operator preference, according to the manufacturer. The new V60 eliminates more than half of the wiring connections of the replacement unit. In addition, the unit has been designed for easy serviceability. The V60 is backed by a one-year parts and labor warranty and lifetime structural warranty.